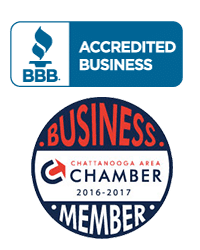 Advertising in Chattanooga TN Can customers find you online? Advertising according to Merriam-Webster is ‘the act of calling something to the attention of the public especially by paid announcements’ and that is NOT what we do. What we are doing is CONNECTING your business with people that are actively searching for your product or service. You may be thinking…. What’s the difference…. We’ll it’s huge. A television station or billboard is advertising for you, that is, broadcasting your message to a large group of people in hopes that some of them are in need of your service/product and will remember your ad long enough to decide to purchase from you. That’s advertising in Chattanooga TN. What MyNooga does is visually introduce your business to people that are ready to buy your product or service and actively looking for a place to buy it. Lets say that again, What MyNooga does is visually introduce your business to people that are searching for you and/or what your selling. We do not advertise. We take your plain directory listing on the Google search engine and Google maps and turn it into a high definition 360 degree panoramic experience. We don’t describe your business, we show your business to people that are searching for your product. There is no other medium that can do this in the world, only Google. 50 years ago this could be compared to a full page ad in the ‘yellow pages’… But now, no one uses those archaic books, they carry smartphones and tablets, and they use them for purchasing decisions everyday. When they search, what are they seeing? Are they seeing your plain Jane black and white listing with minimal description, like a basic ‘yellow page’ listing… or are they noticing the company with full color photos of the products they are searching for? Send us an email or call us today, and in about two weeks we will have your business standing out and looking incredible when searched on Google Search and Google Maps. This is an easy low cost way to capture the attention of paying customers actively searching and ready to buy what you offer, and much more effective than simply advertising in Chattanooga TN. Google is the number one search and mapping system in the world with over a billion visits every day from people searching for information about what you sell. If your listing looks better than your competitors then you get the call, you get the visit to your webpage, you get the consideration and chance to make that sale. More than pictures, more than words, what MyNooga gives your business is a visual CONNECTION to people that are actively searching for your product or service online. Just like those full page ads of old phone books, your Google listing can be expanded to occupy more real estate on the viewers screen with vital business information and a fun, visual, high definition way to explore your business from anywhere in the world. What MyNooga offers your business is not advertising, we offer you a chance to control that first impression. And that is vitally important.